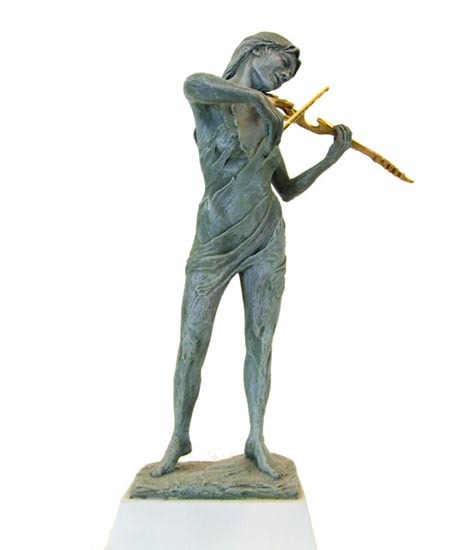 The sculpture is approximately 400 mm (16")in height and is beautifully crafted and reproduced in genuine hand cast bronze. The figure is modelled to the highest standards of detail and realism and would grace the shelves of any home or office. "Music" is supplied in a worldwide Limited Edition of only 20 pieces. Each reproduction is numbered and accompanied by a Certificate of Authenticity, signed by the sculptor.